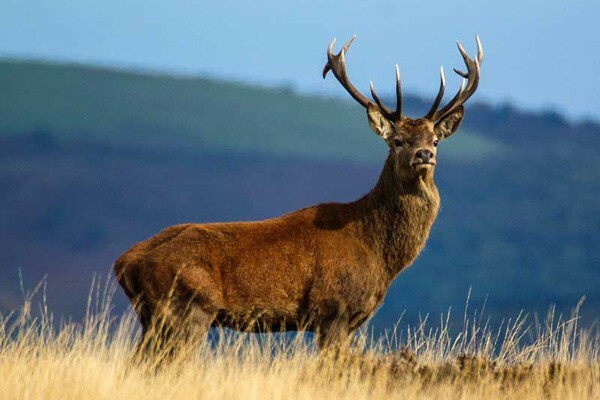 Red deer are the predominant species of deer on Exmoor with estimates of the population varying from three to four thousand. They are the largest surviving land mammals in Britain. The male red deer is called a stag and the female a hind. The young which are born in early summer are called calves. At maturity, a stag measures 115cm at the shoulder and hinds are about 15cm less. Only the stags grow antlers which are shed in the spring and regrown by late summer. As the stag matures he grows larger and more complex antlers every year until, when he reaches old age, the process is reversed and his head of antlers deteriorates every year in a process known as ‘going back’. While growing during the summer the antlers are covered in a grey material called velvet which protects blood vessels feeding the antler growth. During the summer the russet red coats of the deer in peak condition accounts for the name given to this species. As winter approaches the coat becomes rough and thick with a markedly browner shade. The necks of the stags thicken as the vocal chords develop for the coming mating season or ‘rut’. For most of the year the stags and hinds lead separate lives within their own herds. 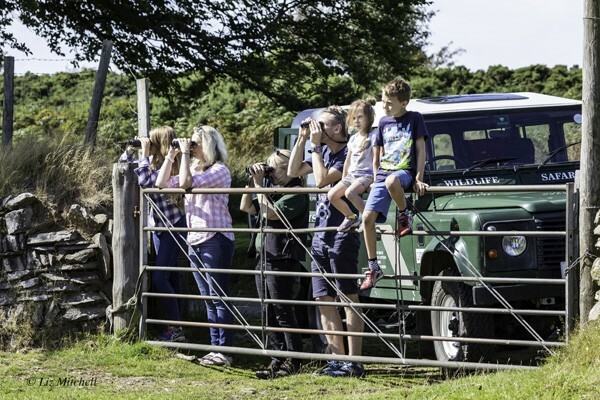 Towards the end of September the stags become restless and by early October the stag herds have split up as the stags leave their home ranges and travel in search of hinds. 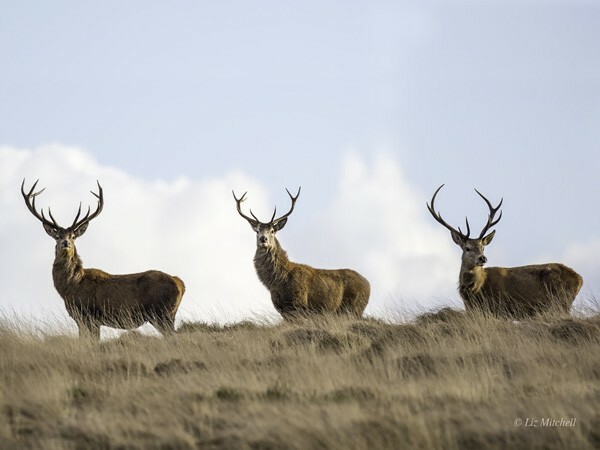 The ‘rut’ is at a peak in mid October and the competition among the stags is intense as they challenge and compete for possession of the hind herds. After a few weeks the frenetic activity calms and the stags and hinds gradually reform their own herds. 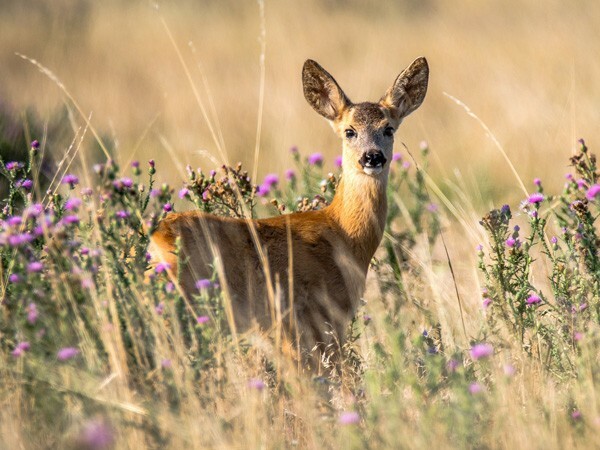 Roe deer are also native to Britain and about 400 are thought to be within the area of the Exmoor National Park. The male Roe is called a buck and the female is a doe. The young born in June are called kids. A full grown buck measures about 64cm at the shoulder and the doe about 5cm less. Their colouring varies during the year. In the winter the coat is grey with a conspicuous white rump patch. In summer they are a sleek foxy red with a buff rump patch. The buck carries short antlers which rarely exceed 20cm in length. They are shed in the autumn and regrown during the winter in time for the spring. The rut for the Roe occurs during July and August but gestation does not start until December. The young are born in June. Twin kids are not unusual. 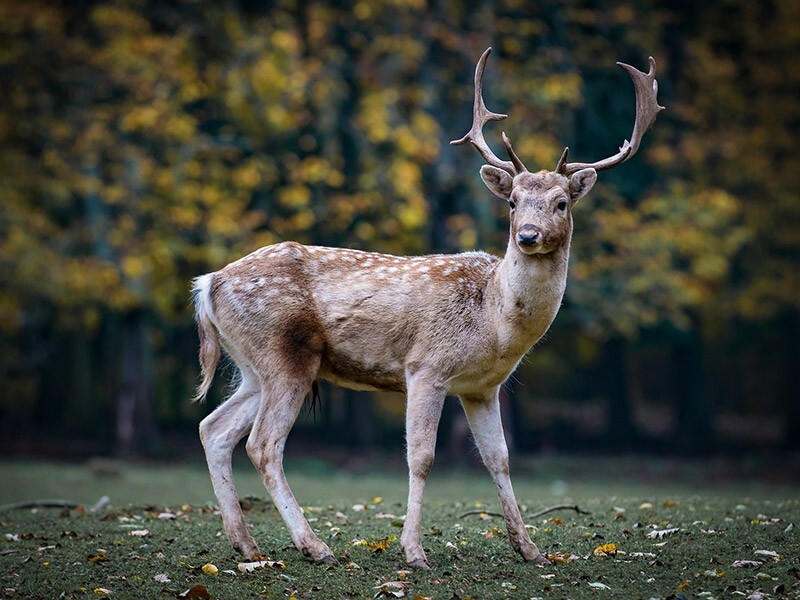 It is usually accepted the Fallow deer was introduced to Britain by the Romans although archaeological evidence has suggested a species of a similar deer was once native. The Fallow was the most popular breed chosen for the deer parks popular with wealthy landowners from Norman times. 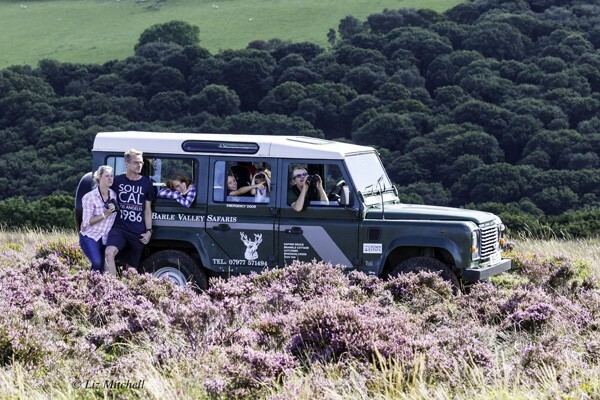 The disbandment of the local deer parks led to some Fallow escaping and wild herds became established mostly in the north eastern corner of Exmoor. Fallow deer are smaller than Red deer but much larger than Roe deer. The male Fallow is a buck, the female a doe and the young are fawns. The buck is about 95cm high at the shoulder and grows broad bladed antlers up to 50cm long. The antlers are shed in spring and grown again during the summer. The rut for the Fallow deer occurs during October and November. Like the Red stag the Fallow buck gathers a herd of females and fiercely resists the challenges of other males.